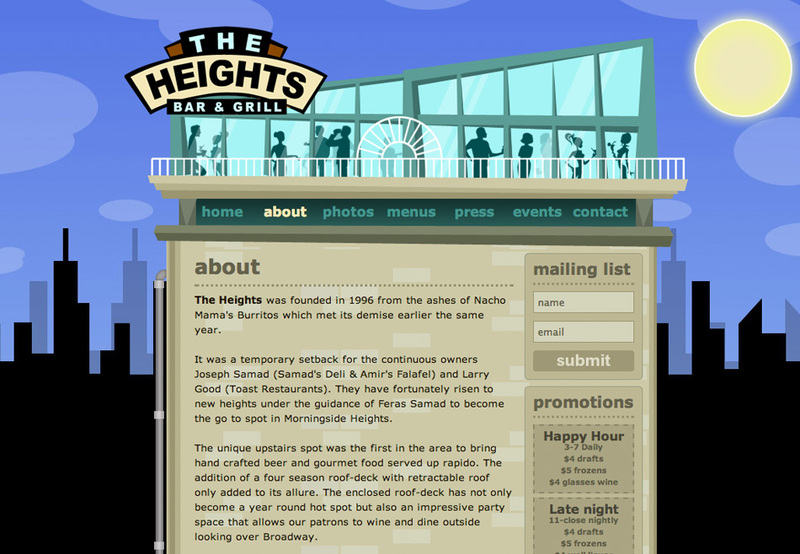 For The Heights bar and restaurant, TVI wanted to recreate the experience of being at The Heights, online. The animated rooftop is a relatively accurate representation of the physical space and the site’s sky/color scheme changes visually depending on the time of day. Visitors to the website get a true feel for what it’s like to be at The Heights.